This client from UK is one of the leading realtors in the country. The marketing program of his company has greatly benefitted various property managers, real estate professionals, private property sellers and investors to strengthen their business. The company has helped its clients in reducing the advertising costs while increasing their productivity. It was established in 2003 and has collaborated with several real estate business firms across the country. They had to regularly enhance property pictures in digitized platforms, panoramas, 360-degree virtual tours, and sophisticated multimedia presentations etc. The client approached us for real estate photo retouching services. They had provided us with raw files of the images, including dynamic range and multi-exposure images. They wanted these images to be processed and retouched. Well, editing real estate photos comprises of a wide range of tasks, including background colour changing, perspective correction, adjusting the exposure, improving the image quality and so on. The client wanted the images to be retouched for better looks. Editing and retouching the images provided by them. Deliver more than 1600 images on a daily basis, maintaining high standards. Providing 24/7 services to the client, adjusting to working hours in the UK. The turnaround time had to be quick, ensuring that the images would be delivered within 10 hours. Developing real estate virtual tours and panoramas, integrating panoramic image stitching techniques. Ensuring timely and high-quality output. The images provided to us were often of poor quality. Our experts would have to edit the overexposed or underexposed images or deal with images with mixed lightings. Often, the photos were taken in bad weather conditions, or in rooms with low lights. The shadows, extreme lights and mid-tones had to be adjusted and sky change to be done. Besides, certain objects were to be added or removed from the image. The images also had distortions, which had to be corrected through perspective correction. Color cast removal was yet another job to be done. Well, editing real estate images calls for adroitness. Our team of designers is qualified and possess the necessary expertise to incorporate these changes in the images. At the same time, they were able to edit the images under pressure, strictly adhering to the deadlines. We developed a team of 18 photo editors, with substantial experience in the domain. They are well-versed with Photoshop and other advanced editing software. We also focussed on the aesthetic essence of the images, while editing them. We provided our client with the FTP login information. This would allow them to upload the unedited images and download the edited ones. Well, we integrated two working shifts for the project, as the numbers of images to be edited were large, and the deadline had to be maintained. These two teams worked from Monday to Saturday, maintaining a time schedule, aligning it with working hours in the UK. The photo editors providing day services were assigned with the return jobs, apart from the additional enhancement and retouching needs of our client. Our experts collaborated with the client, tailoring the real estate picture editing processes according to their specific demands. Our project managers kept in constant touch with the client, responding to their queries via voice and answering their messages and emails. We incorporated the latest versions of licensed software for editing the photos. We also integrated the desired security measures, including anti-spyware, VPN communication, files protected with passwords and spam filters to keep the data protected. Our experts integrated the necessary changes in the images, correcting the overexposed or underexposed images, removing or moderating the shadows, stitching or blending images, and so on. Real estate photo editing software used by us included Lightroom and Adobe Photoshop. Communication tools were email, Skype, phone, Google Talk and other channels. The client was able to make a substantial saving in the costs. As they outsourced their editing tasks to us, they were spared from investing in infrastructure or human resources. The company received the services in quick turnaround time. They also got the opportunity to specify their needs to us through our helpdesk which made the whole process easier and swifter. 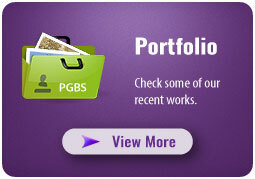 Our support enabled the client to enhance the quality of the image listings on their website. This helped them to enhance their conversions and bolster their business. Well, you can have a consultation with us regarding your real estate image retouching requirements. See your business grow to wider dimensions by associating with us for real estate photo enhancement or any other related services.